For the months of January and February, the Somerville Arts Council and the Inside-OUT Gallery will be showcasing the work of emerging artist, Eric Christopher Hon. His continuous pursuit of artistic development and experimenting with various materials has led to his latest neo-impressionist series. This unique etched process creates a paradox--both vibrant and nubilous which converge on the same shared space to create its own narrative. A Boston native, Eric Christopher Hon has always had an introspective regard for life and living. While attending Boston College in the late 90’s for a business degree, the world of art and design ignited his passions. This pursuit saw him through art courses at both BC and the SMFA, eventually bringing him to Eastern Europe in 2003. 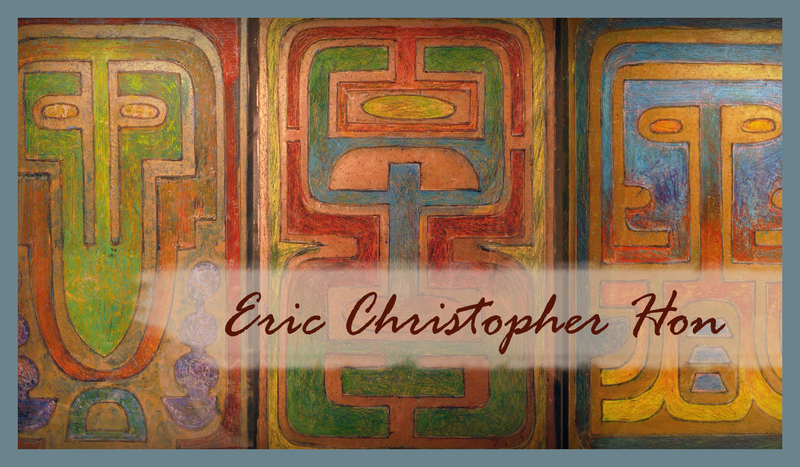 Continuing his career in the arts, Eric lived as an expatriate, earning a master’s in interior design at the Academy of Fine Arts in Wrocław, Poland. During the six-year program, he enjoyed a broad spectrum of intensive coursework, while also working as a teacher of English, literature, and visual arts. Upon returning to Boston in 2010, he has continued refining techniques developed during his studies, creating a style of painting which has neo-impressionist flair and vibrant color range. His experimental work with resins and antique furniture will be yielding further projects to be released in 2015. Eric participated in the ‘Convergence: Where Art and Science Collide’ Art Exhibition at the Cary Library in Lexington in 2014, receiving both the People’s Choice Award and Curator’s Choice Award. This exhibition in Davis Square also marks the debut of the design studio Silvaar Makken, as the website through which Eric will be releasing his artwork. Initiated in 2009, The Inside-Out Gallery is located in the CVS Window in Davis Square, a unique space that allows the public to view an eclectic array of works from artists and local organizations each month. The mission of the Somerville Arts Council is to cultivate and celebrate the creative expressions of the Somerville community. Through innovative collaborations and quality programming we work to make the arts an integral part of life reflective of our diverse city.